Tag Archive | "Birding tour"
Participants in the Jan. 31 birding tour might get a rare opportunity to see a harlequin duck that has been spotted on Lake Macatawa since December. The Michigan Department of Natural Resources and Ottawa County Parks and Recreation will lead a guided caravan birding tour of coastal Ottawa County Wednesday, Jan. 31, beginning at 10 a.m. and concluding at approximately 2 p.m.
No signup is necessary. The tour will begin from Hemlock Crossing Nature Education Center, located at 8115 West Olive Road in West Olive. 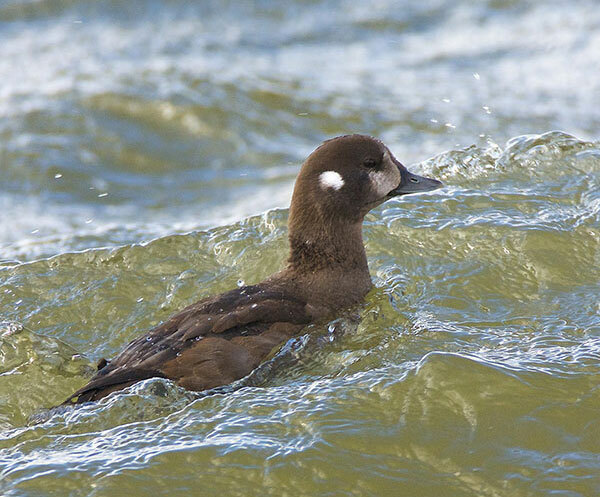 After a brief introduction, the tour will proceed to Holland State Park, Port Sheldon and Grand Haven State Park, with the itinerary adjusting for preferred open-water areas and bird concentrations. Michigan bird conservation coordinator Caleb Putnam of Audubon Great Lakes and the DNR, other DNR staff members and Ottawa County Parks naturalist Curtis Dykstra will be on hand to answer questions about wildlife management, habitat projects under way at state and county parks, and hunting opportunities. The tour will focus on open-water pockets with concentrations of waterfowl and gulls. 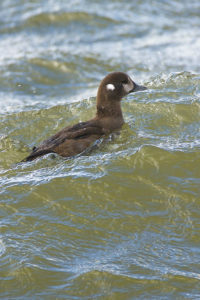 Participants should expect to see thousands of waterfowl, including common and red-breasted mergansers, common goldeneyes, several species of gulls, and with luck, a rarity such as a black-legged kittiwake or harlequin duck (one of each has been present at Lake Macatawa since December). Participants should dress for very cold temperatures, snow/rain and high winds, and should bring binoculars and spotting scopes if possible. The trip leaders will have a small number of scopes available for those who do not have them. The Recreation Passport ($11 for Michigan vehicles, $5 for Michigan motorcycles) is required for vehicle entry to all 103 Michigan state parks. Michigan residents can purchase the Recreation Passport by checking “YES” when renewing license plates at a Secretary of State branch office, self service station or online. Those who didn’t check “YES,” or are visiting in a nonresident vehicle, can purchase a window sticker at the park’s visitor contact station. Please note that when purchased on-site, a $5 processing fee is added, bringing the cost to $16. Nonresidents pay $32 for an annual pass or $9 for a day pass. The Recreation Passport is valid until the next vehicle plate renewal date. For details, visit www.michigan.gov/recreationpassport.